Have you been thinking about creating a new look for your garage? There’s nothing quite like an epoxy finish to give your garage the clean, durable, and easy to clean finish that an epoxy floor provides. These industrial finishes to a floor give the entire garage a clean look. 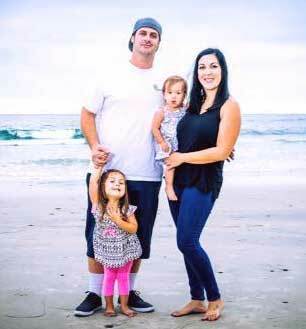 Do you want to clean up oil, add color to your garage, or keep a traffic area clean? 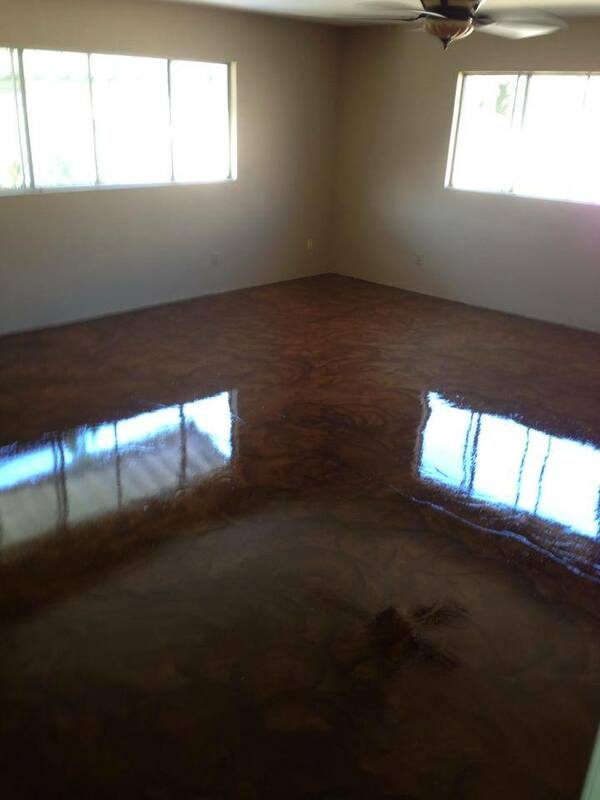 Hiring a professional to put down a decorative coating (epoxy coating) in your garage is the answer. 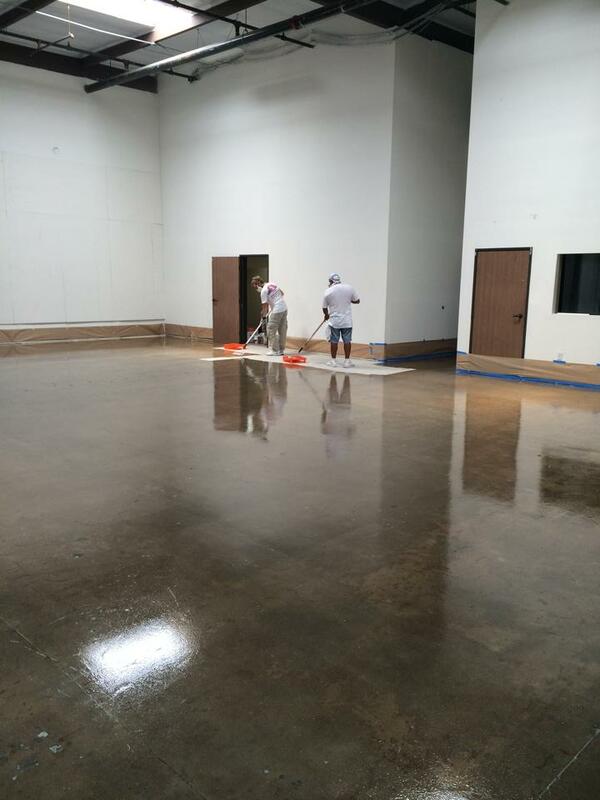 Do you own a large building that needs an industrial floor coating. 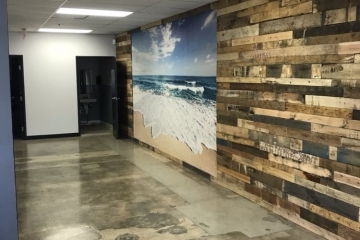 Local San Diego Painting has a lot of experience with large scale flooring for industrial buildings. 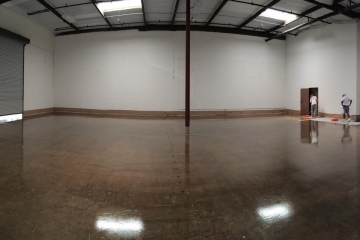 We can take your warehouse and create the floor coating that will give years of lasting service to your building. Industrial floor coatings are a great alternative to staining concrete or merely painting it. Epoxy floor coating is a thicker and more lasting coat that adds color, dimension, and sheen to your floors. 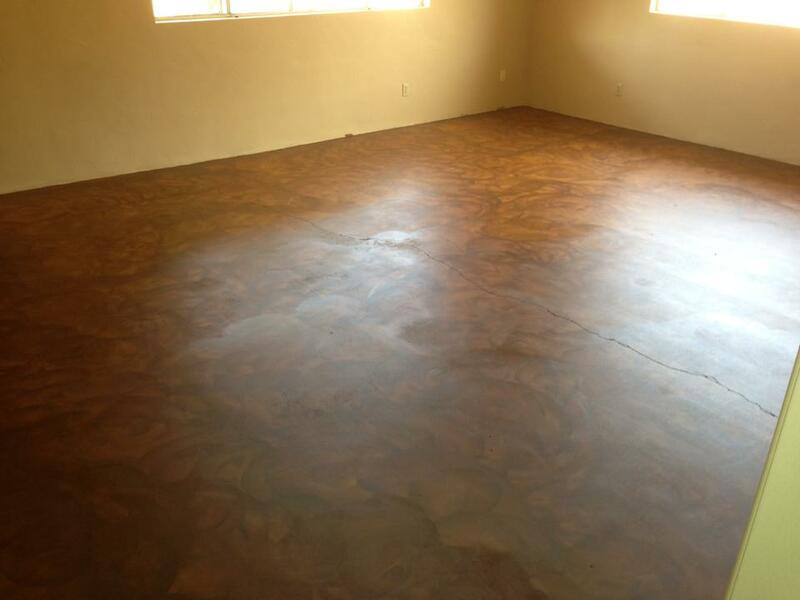 Decorative concrete makes any garage or industrial building look great! 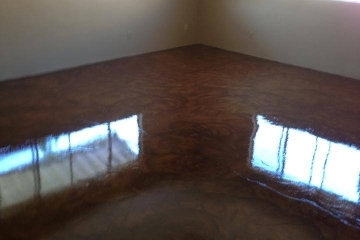 Homes or Office – Epoxy floors are easy to clean, attractive, and extremely durable. Protect your garage floor, playroom or other high traffic area with a great epoxy floor made to last! Retail Shops – Install an industrial floor coating that will hide imperfections, scratches, and/or other marks in the flooring. Epoxy floor coatings work well to cover those imperfections. Scuff marks from shoes clean up easily with that type of floor coating. Industrial or Shopping Buildings – Save money with a clean, functional, and long lasting floor coating. These industrial floor coatings are resistant to grease and oil so make clean up easier plus they look great and give a professional look to your building. What is an Epoxy Floor Made From? Epoxy floor coatings are made from a latex acrylic product. The epoxy part of the equation is actually the thermo setting agent that is applied to the resin. 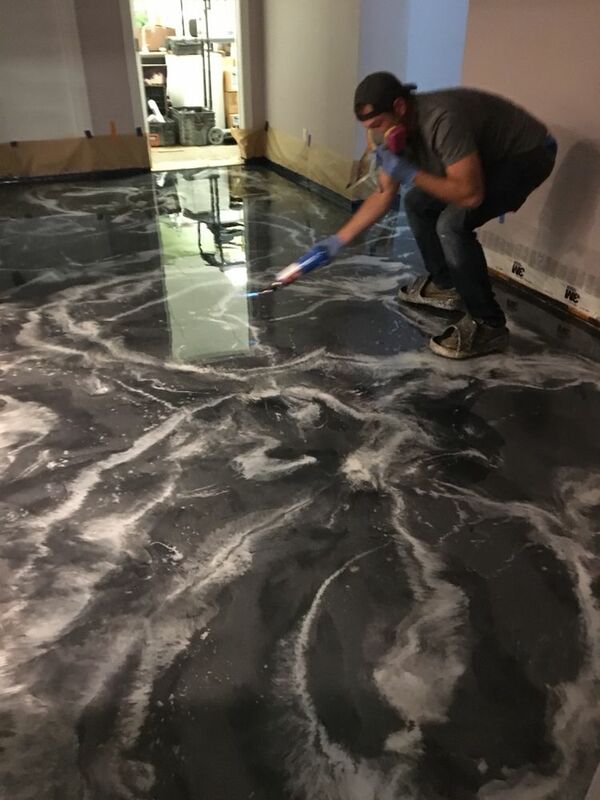 These types of floors have been around for years and when people want their garage to sparkle they add an industrial floor coating, like an epoxy garage floor coating. Industrial floor coating makes your floor incredibly durable and strong. It will even resist water and other harsh chemicals. Allergies can be reduced because these floors stay so clean. These floors look great. They are super shiny and can be formulated with colors, specks, and other great effects. Epoxy floors stand up against chemicals, oils, grease, scrapes, and high and low temperatures. Industrial floors are not that expensive! 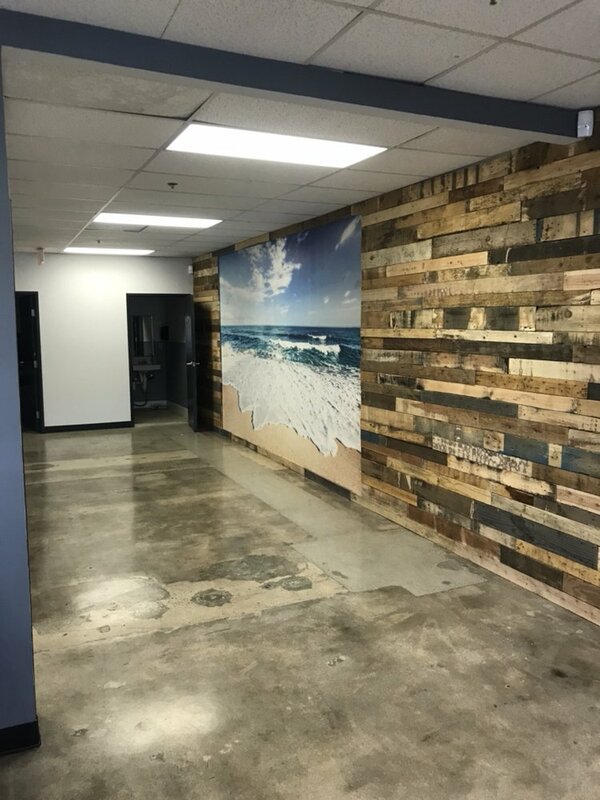 Considering how long these floors last they are actually one of the best choices for a professional industrial floor coating. Save money in maintenance costs because the floors are easy to maintain. Work only with reliable and experienced industrial floor coating specialists in order to get the very most from your epoxy floor. Interested in a non-stick surface? If so, we can add a special sand quartz to the resin. This make the flooring a non-stick surface. Once hardened this is perfect for that floor that could become wet and slippery. 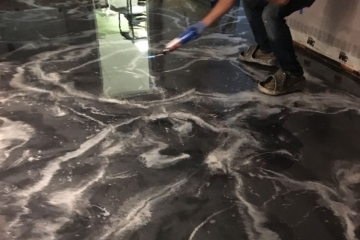 Floor coatings can be done over marble or other stone services to give it a high sheen and protective coating. Use over concrete for a polished finish that looks great. This is a perfect flooring if you have issues with dust and dirt that leads to allergies and asthma. 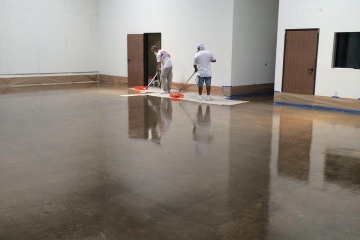 Call us today for more information about industrial floor coatings for your shopping center, restaurant, mall, garage, shop, restaurant, or supermarket. Epoxy floor coatings give you years of carefree, beautiful, and durable usage for your home or business.